Self Cure Remedy details of Drink lemon juice for the care and relief of Gingivitis, including effectiveness and popularity scores of the remedy. Lemon kills the bacteria that cause gingivitis. 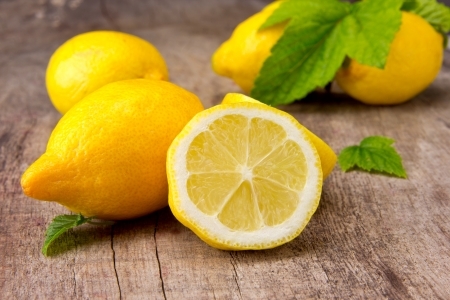 The acid of lemon dissolves the plaque and strengthen the gums. Lemon is also rich in vitamin C, which is directly related to the ability to fight gum desease. Drink the juice of 1/2 lemon squeezed into a cupful of water. The self cure remedy of Drink lemon juice for the care and relief of Gingivitis has an effectiveness score of 3.0 and a popularity score of 45 on the self-cure system.